This week, WKRN ran a story by reporter Stephanie Langford on the number of MNPS students who have lost their lives in the past year. According to her report, 36 kids died in the 2016-2017 school year. That’s the highest number in over a decade. In the middle of the week, the community group Nashville Organized for Action and Hope (NOAH) asked for Director of Schools Shawn Joseph and the school board to set aside funds to train and support teachers in reducing punitive discipline practices that greatly impact minority students. At this week’s school board meeting, Dr. Tina Stenson presented data on the just-completed districtwide climate survey. In explaining how survey questions were selected, she explained that the ones for teachers were taken from focus groups conducted by the district. In those focus groups, teachers’ main expressed concerns were with leadership relationships and safety/discipline. The solution to this issue can not be solely school-based. We have to ask ourselves what we are going to do as a city to curb this trend. Part of the issue stems from Nashville’s rapid growth over the last decade. As we’ve focused on convention centers, sports team, stadiums, and attracting businesses, we’ve become less focused on things like community centers, libraries, and transportation. Those on the lower end of the economic chain have become more and more marginalized. That’s one of the reasons why groups like NOAH have risen to the forefront. In all fairness, we are fortunate at this point to have a mayor who understands this need. And I mean no disrespect to previous mayors in praising Nashville’s current mayor. As Mayor, Megan Barry has met often with NOAH. She’s created a summer jobs program, Opportunity Now, that this year will make over 10,000 jobs available to kids aged 14-18. She’s making a valiant attempt at solving transportation woes which will improve the quality of life and open opportunities for all of us. She gets it. But we all need to get it. Over the past several years, MNPS has moved towards the implementation of Restorative Justice as a primary pillar in its discipline policy. That’s the pillar that NOAH would like to see widened. Here’s where I might make some people mad, but in the interest of having a wider and more honest conversation, I’m willing to walk out on that ledge. Restorative Justice has not been successful on a large scale in our schools. Somehow it has been translated into the message of don’t suspend black or brown kids. I know, some will bristle at this insinuation, but talk to teachers and principals and you’ll find that tenet has some veracity. For some students, that translates into the perception of a lack of accountability. Some take advantage of it and exploit it for their own benefit, thereby creating an unsafe environment for other kids. The majority of discipline issues come from a minority of kids. Yet we focus on the impact of that minority. Shouldn’t the kids not being disruptive deserve as much consideration as those causing the disruptions? I understand the need to fight to keep kids from falling through the cracks and fully support any method that will address their unique issues. However, teachers are not trained social workers and psychologists; they are trained educators. If we continue to try to force them into serving two masters simultaneously – a child’s academic needs and social emotional needs – we run the risk of them being successful at neither. The idea of restorative justice is intended to give teachers more tools to help more students, and I believe if fully implemented in can have a game changing impact on kids. That said, I see two major obstacles on why restorative justice practices have not reached that potential in MNPS. The first reason is simple: it has never been fully funded and implemented. We have not, as a district, dedicated the resources and the personnel necessary to fully adopt restorative justice. In order to be successful, there has to be dedicated personnel in every school, extensive training, and a culture shift. That ain’t free. So NOAH is on the right track when they call on the district to dedicate more resources to restorative justice practices. 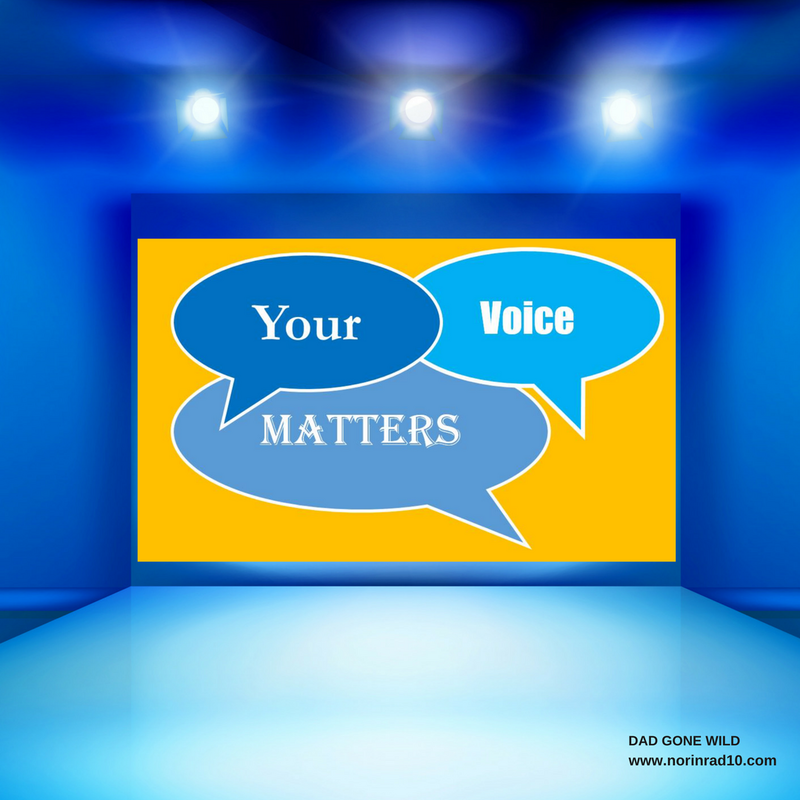 When a child’s suspension is necessitated, school administrators should be approached by district leadership in a supportive manner, not in an accusatory way. Each instance should be evaluated individually based on its unique circumstances. Once again, people are going to tell me that this is already happening and I would counter with this: then why is safety and discipline a leading concern of teachers as acknowledged by the district’s own researcher? This is too important a conversation to have thin skin. In the words of Bill, we must employ rigorous honesty. 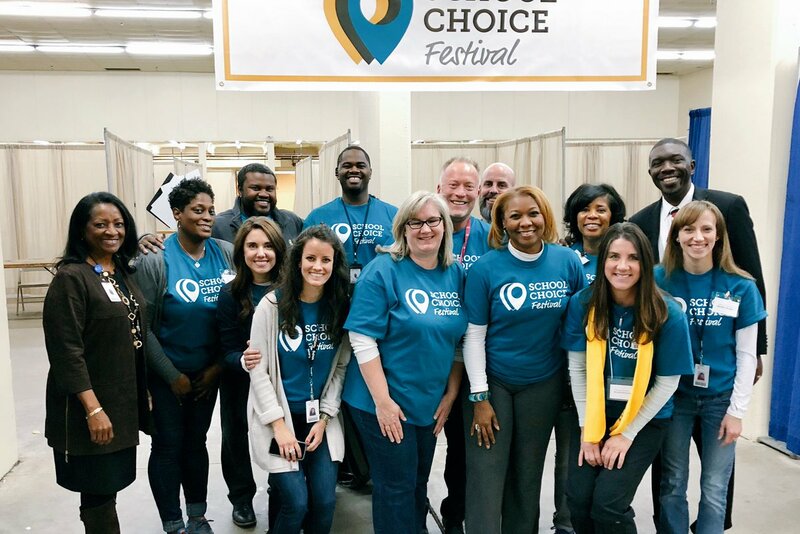 Last week MNPS held its School Choice Festival. As a general rule, I’m not a supporter of a choice system. No matter how it is set up, it inadvertently leads to the creation of winners and losers, and those losers are typically those with the most to lose. What I am in support of, though, is an opportunity for parents to come together and learn more about MNPS and the schools that comprise it. In that light, it appears that the MNPS communications department delivered a much appreciated event. Congratulations to them. Speaking of parents, I encourage you to check out the latest in the Dad Gone Wild interview series. This time out I talked with Nashville Rise’s Allison Simpson, a conversation that I really enjoyed and gave me a lot to think about. We need to constantly remind ourselves that those with different opinions aren’t our enemies, just people with different opinions than us. Word on the street is that Eakin ES is once again on the hunt for a new principal. On the subject of school choice, my friend Ezra Howard has recently resumed blogging and he has some views he’d like to share. I always find his views to be informative. I would also like to acknowledge that in her presentation on the climate survey, Dr. Stenson chose to address “community concerns” that results were being used in any way other than formative. She wanted to make sure that people knew that results were not being utilized in a punitive manner. We appreciate the clarification and are appreciative that Dr. Stenson reads Dad Gone Wild. Last week was the first Gubernatorial debate. This one focused on education. I could do a long wrap up on it, or I could just turn the mic over to Vesia Hawkins. Her summary about says it all. One of the things being talked about during this year’s Tennessee Legislative session is a change in how schools are funded. As always, TNEd Report breaks down one aspect of the discussion for us. Some of you may wonder why I haven’t written more about the recent resignation of MNPS central office employee Mo Carrasco. Truth is, I’m staying away from it because I don’t want his actions to undercut the discussion on his observations on the district. His actions were completely unacceptable, and thankfully he resigned, but there is a lot of truth in his evaluation of the district. Close observers and those employed by the district know the truth. For Dr. Joseph to insinuate that he and Carrasco were nothing but principals together in the same district is a bit disingenuous, and denies the long history the two have together that dates back to Joseph’s participation in Carrasco’s principal-training side business. Speaking of friends, look what happened in Baltimore this week. Former Baltimore Superintendent and current MNPS Transition Team member Dallas Dance was indicted on 4 counts of perjury. If you look about 3 paragraphs down in the linked article, you’ll see reference to a company called ERDI. 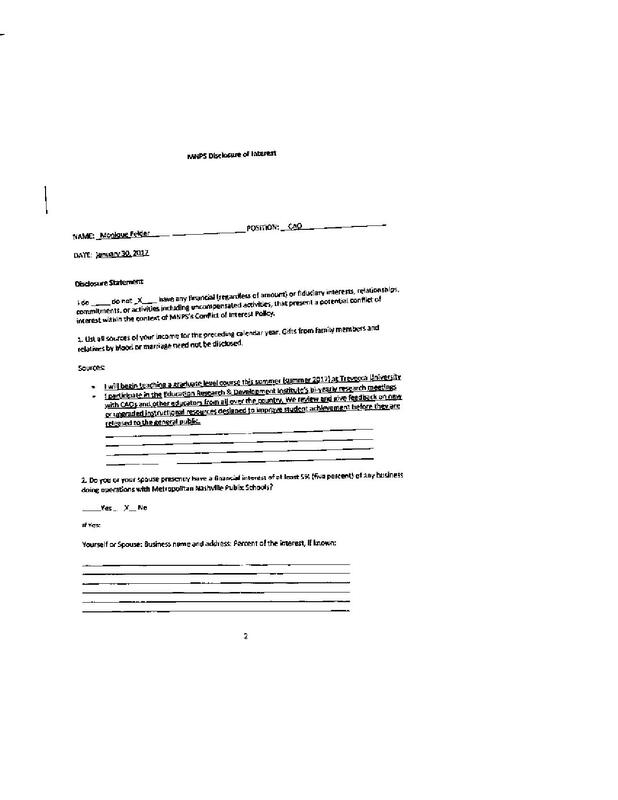 Then take a look at MNPS’s Chief Academic Officer Monique Felder’s financial disclosure from last year, and you’ll see that she declares no outside compensation, but did do work for a company called Education Research & Development Institute. Hmmm….. move along. Nothing to see here. That was for 2016. 2017 is due at the end of the month. Word on the street is that things got a little heated at a parent/district meeting last night at Sylvan Park ES. Last year, if you’ll remember, there was concern about high teacher turnover at the school. Earlier this year, I asked a parent if things were improving. “I don’t…” they responded, “I don’t know anybody anymore.” Last night’s meeting contained commentary on those recently departed teachers. Hmmmm…. that’s all, just hmmmm. MNPS announced today one of its students, Youli Yao, who attends Martin Luther King Jr. Magnet High School, has been named a prestigious Regeneron Science Talent Search Scholar. Youli Yao was Tennessee’s only semifinalist out of 300 nationally. Pretty impressive. Listening to John Prine’s Sweet Revenge this morning. Since I frequently see him around town, I always forget just how good he is. Check it out. Time to put forth this week’s questions. The first one was brought forth by a reader and it concerns where MNPS teachers reside. It was in response to the question about snow days, but I do find it an interesting overall. Next, I’d like to get a feel for how long teachers who read the blog have been teaching. So if you are an educator, I like to know for how long. And that includes principals. Lastly, I want to ask for feedback on the Dallas Dance indictments. Does it bother you or not? of very fragile students. Anyone could call a circle, questions were thoughtfully composed for circle discussion, the person holding the talking piece (whatever the person who called the circle chose – generally representative of the discussion topic), and the circle lasted until everyone who had something to say had a chance to speak – one at a time – with no judgement; and anything said in the circle stayed in the circle. I have been wondering how schools could legitimately practice this process with the amount of time it takes to accomplish restorative goals coupled with all the other pressures on teachers and students to achieve. In addition, mutual trust and respect are mandatory components for a circle to be successful. These practices can make amazing changes in School climate and culture but without grassroots buy in, they will fail. Giving lip service by saying we are using them is a meaningless exercise in futility. I’ve talked to some principals today and I mean to amend my comment to…don’t suspend kids…in Monday’s piece. Thank you for the thoughtful response. We need more of that.